Alli migrated to Canada from Kenya in 1976. Prior to that, rising through ranks, he held senior management positions with a large multinational corporation from Holland who was the sole distributor for Philips Electronics, Canon Cameras, Siemens Medicare equipment and more. As a hobby in motor rallying, he managed coordination of the Mitsubishi service team for “The Safari Rally”, an international event where only 20 of the 200 entries from the world made it to the finish line. His team won this event on 4 occasions. In Canada, he established several successful businesses that included retail, service and manufacturing entities that he managed hands on and promoted them in partnership with others. He hired, trained and directed personal besides establishing job descriptions, making regular assessments and timely evaluations to hold them accountable, re-assigning or replacing them as necessary without encumbering undue liability. Alli Amlani C.Dir, RCIC. is Immigration Consultant since January 1988. Served as a Director at Organization of Professional Immigration Consultants (OPIC) 1991-2004, Canadian Association of Professional Immigration Consultants (CAPIC) 2005-2008, Canadian Society of Immigration Consultants (CSIC) 2008-2011 and Immigration Consultants of Canada Regulatory Council (ICCRC) 2012-2016, Chair of the Board (2013-2015), Chair of HRCC (2012), OCC (2013), GNC (2016), Mediation and CEO Search committees (2016/17). Member PLC and JPLWG (2017/18). Since 1991, he attracted much-needed attention of the then CIC, now IRCC towards the legitimacy of the Immigration Consulting Profession and fought for Self-Regulation. In this plight, he introduced Professional Development Courses in 1992 and unveiled the Immigration Practitioners Certification (IPC) program in 1996. Besides setting up the Infrastructure and developing teaching materials, he recruited and trained presenters. IPC is the industry standard today. Inspiring members with his “Make It Happen” Philosophy, he affected change in every aspect of camaraderie and good Governance. He continues to help build and sustain infrastructure, focusing on succession planning, documenting the process for ease of inevitable transitions besides long term sustainability of professions and corporations. Alli holds an IPC from Seneca College and “Not-For-Profit Governance Essentials” program certificate from Rotman School of Management, University of Toronto. He became a Chartered Director (C.Dir.) in 2011 from The Directors College (joint venture of McMaster University and The Conference Board of Canada). 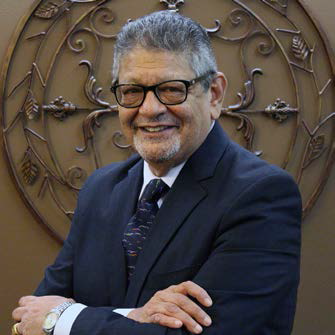 He is a recipient of the Shepherds, Pillars, Leadership and Lifetime Achievement Awards from CAPIC and Seneca College. As a Chartered Director, Alli has provided governance training and orientation to several aspiring and existing Directors besides committee members of Professional Associations, Real Estate Boards and Commercial organizations on best practices in Corporate Governance and developed Charters and Mandates of the Boards and committees. At the operational level, he has participated as a key contributor to strategic planning exercise, risk register analysis, succession planning and the accountability process to the management of entities. In so doing, he helped develop occupation descriptions, organizational charts and operational manuals besides reporting procedures. He remains involved in outreach activities with Members of Parliament, Government Departments and provides a greater insight on the bright line that exists between the Board and Management to both For Profit and Not for Profit entities with his in-depth understanding and experience of and in the Canada Not for Profit Act (CNCA) and the Canada Business Corporations Act (CBCA). Read a message from the founder here. 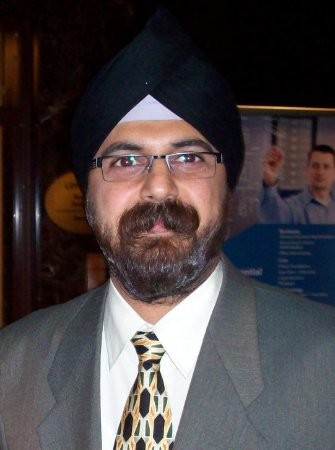 Mohinder Singh, an immigrant from India since 2003, brings with him over 13 years of legal expertise. Prior to moving, he was a Lawyer, practicing in Mumbai, India. He has extensive experience in having handled complex cases in Courts throughout India. His trial and appellate experience include numerous appearances at all levels in Administrative, Quasi-Judicial & Judicial proceedings up to The Supreme Court of India. Holding Bachelor Degrees in Commerce and Law from Mumbai University and a Post-Graduate Diploma in Business Management, he practiced in the field of Criminal Law having conducted trials in several languages apart from English. He is a member of the Bar Council of Maharashtra & Goa and The Sessions Court Bar Association. Mohinder is a Regulated Canadian Immigration Consultant being a member in Good Standing of the Immigration Consultants of Canada Regulatory Council (ICCRC) and a past member of The Canadian Association of Professional Immigration Consultants (CAPIC). He is a subject-matter expert and serves as a volunteer at The ICCRC. He served on the National Board of Directors at CAPIC for over 3 years as Director-at-Large and Director Lobbying. He is an active volunteer and has helped several colleagues achieve the required standards of regulation. Mohinder is a recipient of the “Pillars” and “Out-Standing Achievement” awards from The Canadian Association of Professional Immigration Consultants and has received letters of commendation from The Federal Government, for his participation & contribution to the Immigration Consulting industry. He specializes in presenting appeals before The Immigration Appeal Division of the Immigration & Refugee Board and representing Employers in obtaining positive Arranged Employment and Labor Market Opinions for Foreign Workers from Service Canada (HRSDC). Mohinder diligently and passionately attends to new inquiries, pre-screens and manages the intake besides counseling clients to help them with their needs. Bhumika migrated to Canada in 2013. She has successfully completed her Immigration Practitioner program and joined Inter Connections Canada. She looks after all Immigration Applications and administrative work. Aziz immigrated from India in 1997. At the head office, he looks after the maintenance and troubleshooting of the network and computer workstations. He performs routine maintenance, systems upgrades and is responsible for back-ups and disaster recovery operations.